Read the latest letter from our Board President, Noel Paterson. The Arboretum can be found by a short drive within Maple Valley along side Lake Wilderness Park at 22520 SE 248th in Maple Valley, WA. Please view our Directions page for further instructions. 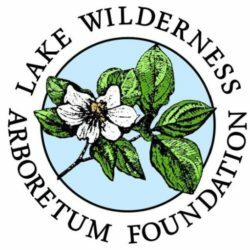 If you need any information regarding Lake Wilderness Arboretum or the Lake Wilderness Arboretum Foundation, please contact us through the following: info@LakeWildernessArboretum.org PO Box 72, Maple Valley, WA 98038 (253) 293-5103. Please see our Events Calendar for all of our upcoming events!